ANCHORAGE, Alaska (AP) — An Alaska man was charged Monday in the death of a 10-year-old girl whose remains were found more than a week after she was reported missing. State prosecutors charged Peter Wilson of Kotzebue with first-degree murder, kidnapping, sexual abuse of a minor and tampering with evidence Monday in connection with the death of Ashley Johnson-Barr. An autopsy revealed signs of strangulation and sexual abuse, and DNA evidence also linked him to the crime, according to prosecutors. Wilson, 41, pleaded not guilty Friday to federal charges of making false statements as FBI agents and others searched for Ashley in Kotzebue, a remote Inupiat town on Alaska’s northwestern coast. The girl disappeared Sept. 6. Her remains were found eight days later in rugged tundra accessible only by a four-wheeler or on foot. The state charges come after Ashley’s family had asked that any further legal action be delayed until after the girl’s funeral Saturday, said John Skidmore, criminal division director for the state Department of Law. Wilson took a cellphone from Ashley and lied when he said he had found it on the ground, according to an indictment filed last week from a federal grand jury. The indictment also says Wilson lied about knowing the girl and using a four-wheeler the day she vanished. Ashley had her cellphone with her when she was last seen playing with friends at a park. The phone was found later that day in the pocket of a jacket belonging to Wilson, a woman named in an FBI affidavit only by the initials of JJ told authorities. The woman said Wilson often stayed at her home. Wilson told authorities that he found the phone on the ground about a half-mile from the park. On the afternoon the girl went missing, Wilson also disappeared with a four-wheeler for about two hours, according to authorities. 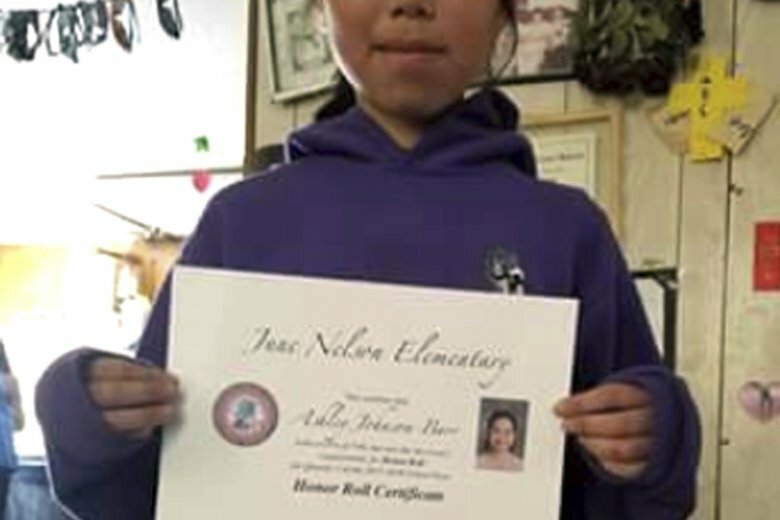 The FBI affidavit said the girl’s body was found on tundra outside Kotzebue, in an area concealed by thick alder and willow brush. After the girl disappeared, Kotzebue residents helped search for her, holding vigils at the park where she was last seen. Similar prayer vigils were held across Alaska. The FBI sent 17 agents to help investigate. Kotzebue is 26 miles (42 kilometers) north of the Arctic Circle and 550 miles (885 kilometers) northwest of Anchorage. It serves as a regional hub for northwest Alaska villages.